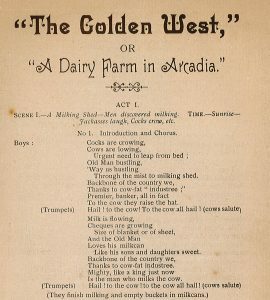 “Something with a cow in it”: Dairying in Victoria’s Western District celebrated in a 1907 comic opera. 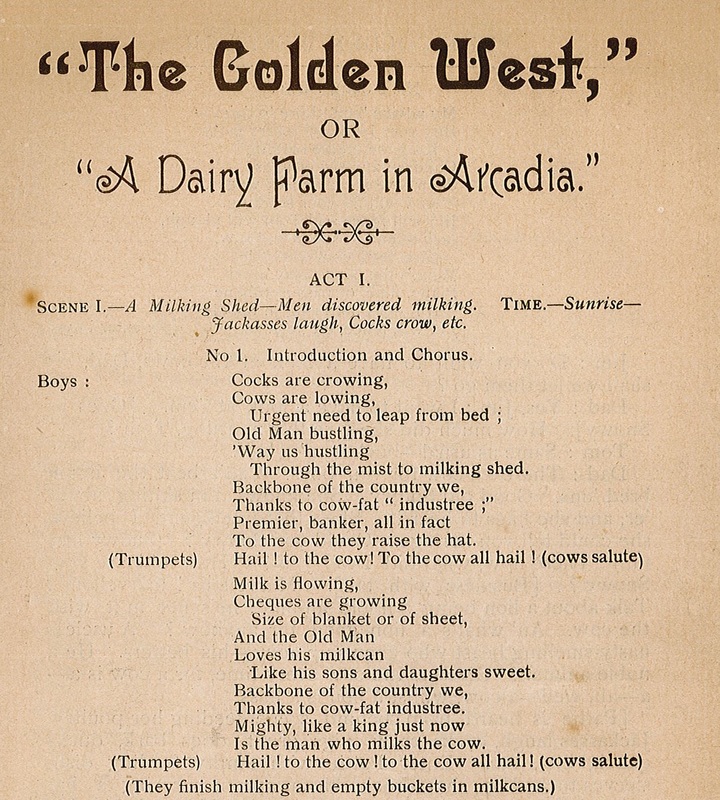 Act I of The Golden West takes place in a milking shed – the stage set at curtain-up was said to have evoked an “audible gasp” of recognition from the opening night audience. Dairying at the time was a strong contributor to Victoria’s economy after the collapse of the land boom; the young men milking during the opening chorus express sentiments that contrast markedly with present-day discourse around dairying. Thanks to cow-fat industree [sic]. Is the man who milks the cow. The libretto of the opera—sung lyrics and spoken dialogue—is broadly comic throughout. Some reviews suggest that the humour did not always hit its mark; the music, though, was uniformly praised. Almost too absurd to précis, the plot revolves around a Lord Coddlebock (a young English gentleman) who outbids “Dad Morris” to purchase 900 acres in order to set up his own dairy farm. Morris, the father of seven sons and one daughter, wants the land to extend his own farm so that it could support his sons and their (prospective) wives as well as himself. Coddlebock has no idea about dairy farming—he has purchased a herd of steers instead of milkers—but aims to establish his own version of a “model dairy farm”, where cows live pampered lives (with “horns polished and silver tipped”) in palatial surroundings. Coddlebock hires Morris and his seven sons to work for him and (inevitably) falls in love with Morris’s daughter, Pattie. Coddlebock’s bizarrely opulent milking shed is the setting for the final act, during which he becomes engaged to Pattie and gives Morris the land he needs to see his sons settled. 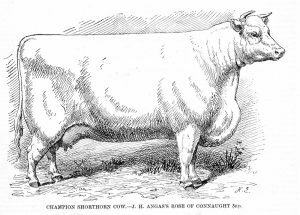 Coddlebock’s declaration, just before the final chorus, that he has invented a milking-machine that “will strip 100 cows in 40 minutes”, is an interesting contemporary reference. Milking machines were first introduced in the region around 1890 and by 1907 were in wide use; 100 cows in 40 minutes, though, seems far fetched. 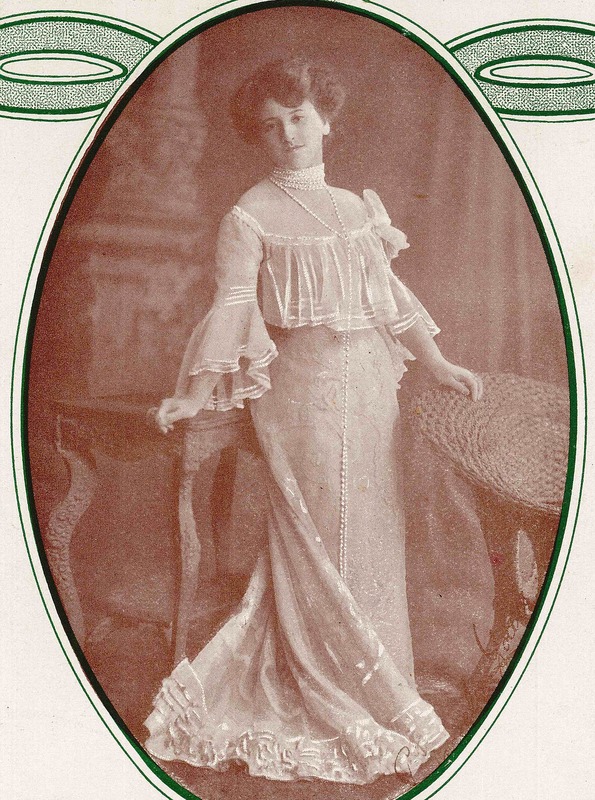 Louis Bayer’s own life ended unexpectedly during the second run of The Golden West in October 1907.5) His death was said to have been brought about by the strain (and high financial pressure) of self-producing his comic opera twice in 6 months, employing a different cast of professional performers each time: well-known soprano Ray Jones (pictured) was Pattie in the April season. The opera toured the region, with just one night in each place and with box-office takings susceptible to bad weather. While a happy ending is de rigueur in the world of comic opera, Louis Bayer and his family were denied one, at least partly as a consequence of his Dairy farm in Arcadia. 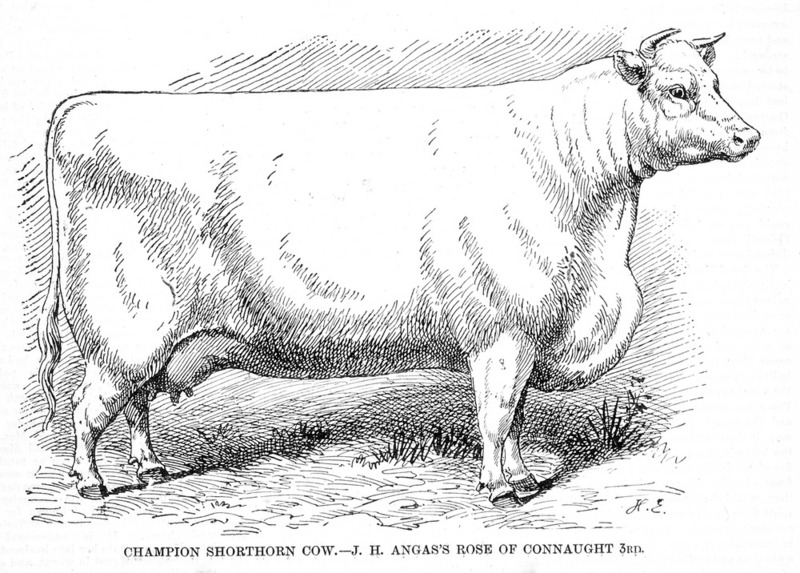 Image of cow at top: Wood engraving from Illustrated Australian news (Melbourne), 1 September 1891, courtesy of State Library of Victoria. Eric Irvin, citing the Sydney Bulletin, 5 November 1914 in “Louis Bayer (1858-1907), composer to the man on the land” Southerly, Vol. 48, No. 3, Sept 1988: 284. The copy in Rare Music is signed by a third literary Louis: composer and writer Louis Lavater. 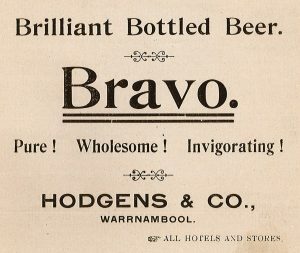 Graeme Skinner’s wonderful Austral Harmony on-line resource records the works of Bayer that have survived. Rare Music has a Leura Waltz, named after Mt Leura in Camperdown. 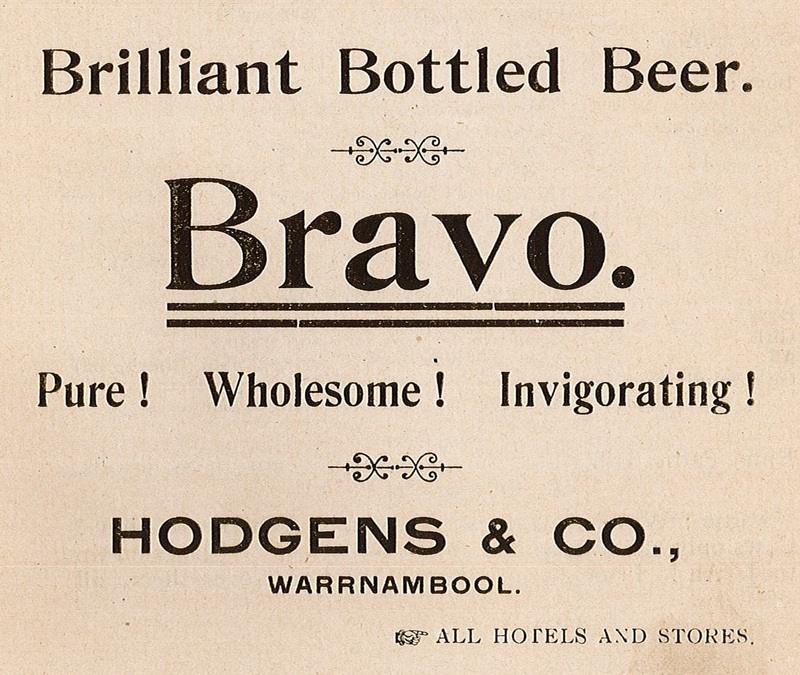 See Camperdown Chronicle, 31 October 1907: 3.